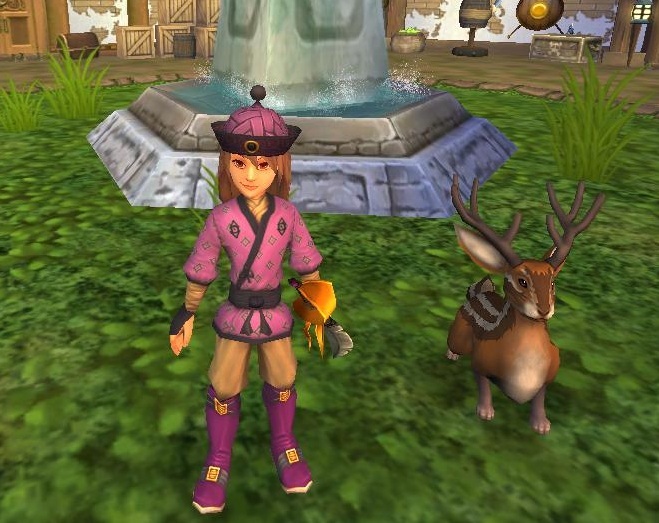 There are several pets in Pirate101 that you can get as rewards for earning certain badges. One of these pets is the White-Tailed Jackalope. As you can see, he is pretty cute! 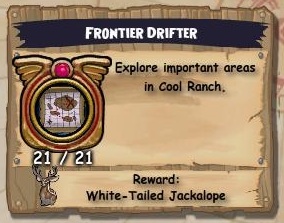 You get this pet in Cool Ranch as a reward for completing the badge "Frontier Drifter." According to the description on the badge, you earn the title "Frontier Drifter" by "Exploring important areas in Cool Ranch." There are 21 of these areas and they are listed below. I have separated them by skyway to make it easier.